Chief Economist, First Trust Advisors L.P.
Brian Wesbury is Chief Economist at First Trust Advisors L.P., a financial services firm based in Wheaton, Illinois. Mr. Wesbury has been a member of the Academic Advisory Council of the Chicago Fed from 1999-2007 and a regular attendee of the Economist Roundtable Luncheon at the Chicago Fed since 2007. In 2012, he was named a Fellow of the George W. Bush Presidential Center in Dallas, TX where he worked closely with its 4%-Growth Project. His writing appears in various magazines, newspapers and blogs, and he appears regularly on Fox, Bloomberg, CNBC and BNN Canada TV. In 1995 and 1996, he served as Chief Economist for the Joint Economic Committee of the U.S. Congress. The Wall Street Journal ranked Mr. Wesbury the nation’s #1 U.S. economic forecaster in 2001, and USA Today ranked him as one of the nation’s top 10 forecasters in 2004. 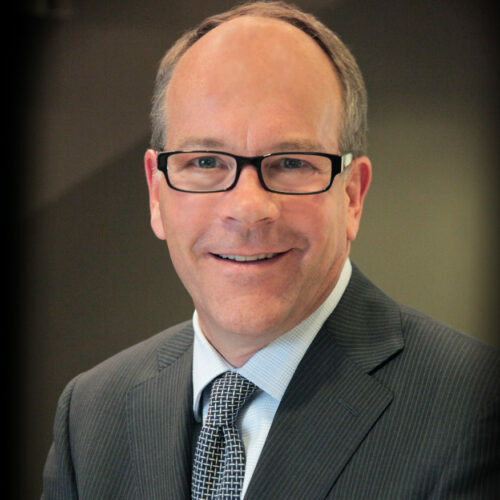 Mr. Wesbury began his career in 1982 at the Harris Bank in Chicago. Former positions include Vice President and Economist for the Chicago Corporation and Senior Vice President and Chief Economist for Griffin, Kubik, Stephens, & Thompson. Mr. Wesbury received an M.B.A. from Northwestern University’s Kellogg Graduate School of Management, and a B.A. in Economics from the University of Montana. McGraw-Hill published his first book, The New Era of Wealth, in October 1999. His most recentbook, It’s Not As Bad As You Think, was published in November 2009 by John Wiley & Sons. In 2011, Mr. Wesbury received the University of Montana’s Distinguished Alumni Award. This award honors outstanding alumni who have “brought honor to the University, the state or the nation.” There have been 267 recipients of this award out of a potential pool of 91,000 graduates.